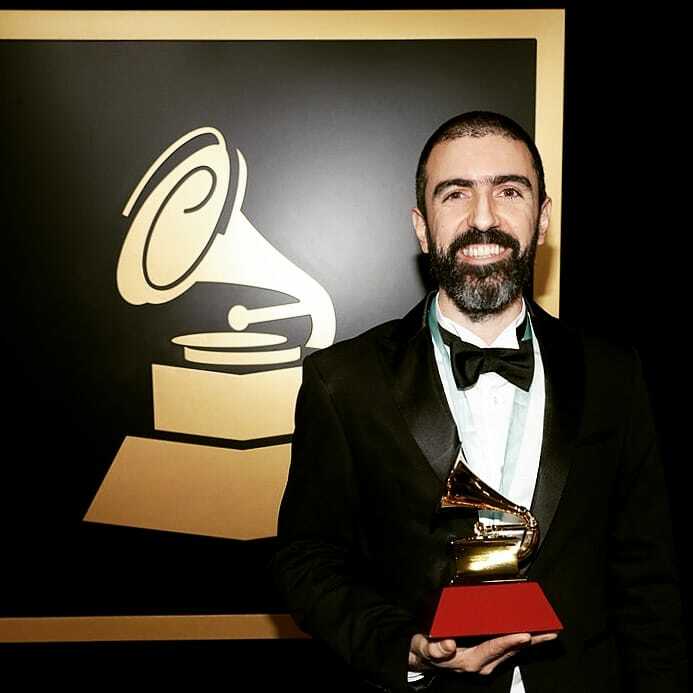 I’m immensely thrilled and honored to share with you all that ‘VIGOR TANGUERO’ won the Latin Grammy for the Best Tango Album!!!!!! Truly moved. The emotions are many and overwhelming, but one does stand out: GRATITUDE. Gratitude for my father, my mother and my siblings for giving me the best home I could have asked for, my gorgeous wife and my daughters for giving purpose to everything I do, to all the teachers and colleagues who so generously taught me in Argentina and the US, and to all my dear friends who show their love and support on a daily basis. This project would not been what it is without the immeasurable contributions of my band mates Nick, Rodolfo & Emilio, the sound technicians Alex and Oscar, Federico, the wonderful production team and ZOHO records. I have to sincerely thank all the sponsors, you guys made this CD possible! Last but certainly not least, I want to thank the academy and all the people who supported this project with their vote. Realmente emocionado. Las sensaciones son muchas, pero la que se destaca es la de AGRADECIMIENTO. Quiero agradecerles a mi padre, mi madre Cecilia, y mis hermanos Agustín y Lucía por el siempre incondicional acompañamiento. A mi hermosa mujer y mis hijas por darle sentido a todo lo que hago, a todos los maestros y colegas en Argentina y los EEUU de los que he aprendido tanto y a todos mis queridos amigos que muestran su apoyo de una manera u otra todos los días. Este proyecto no hubiera llegado a ser lo que es si no fuera por la inconmensurable contribución de mis colegas Nick, Rodolfo y Emilio, los ingenieros de sonido Alex y Oscar, Federico Rodriguez y el maravilloso equipo de producción de ZOHO records. También quiero agradecer a todos los patrocinadores, fueron ustedes quienes hicieron posible este disco! Por último, si bien no menos importante, quiero agradecerle a la academia y a todas las personas que apoyaron este proyecto con su voto. After two decades performing with the most important interpreters of tango in the United States, Pedro Giraudo debuted his own Tango Orchestra at Lincoln Center’s Midsummer Night Swing in July 2015. The Pedro Giraudo Tango Orchestra features some of the finest tango musicians of today to interpret tangos ranging from the great traditional, classic tangos, to more modern tangos and original compositions.